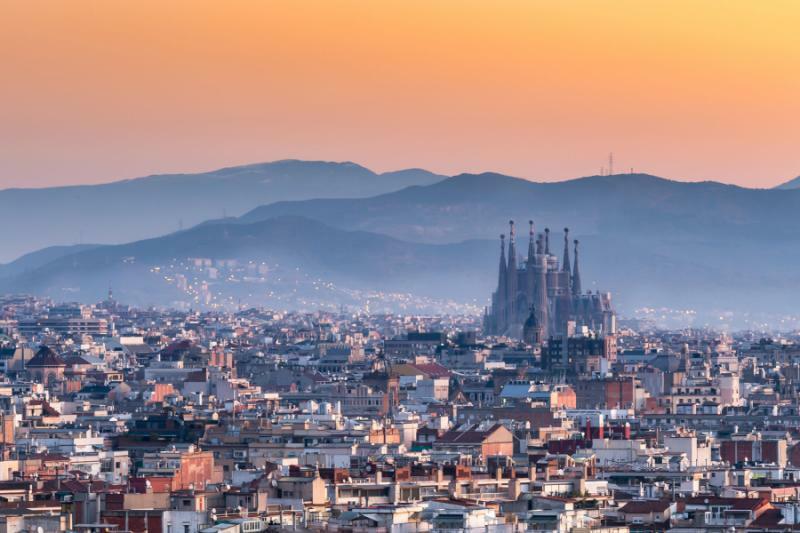 The redolent scent of World Heritage floats across Spain, fusing Roman and religious legacies with dramatic Golden Age cities and the flamboyance of Gaudi. In just one week, this private tour explores 11 of the most sublime UNESCO-inscribed sites, immersing you in an ancient university city, opulent royal palaces, monastic glories, and clifftop towns untouched by time. 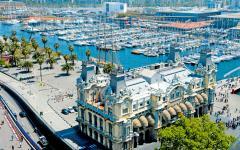 Three nights in captivating World Heritage towns follow two in Madrid and are preceded by two in Barcelona. All tours are private. 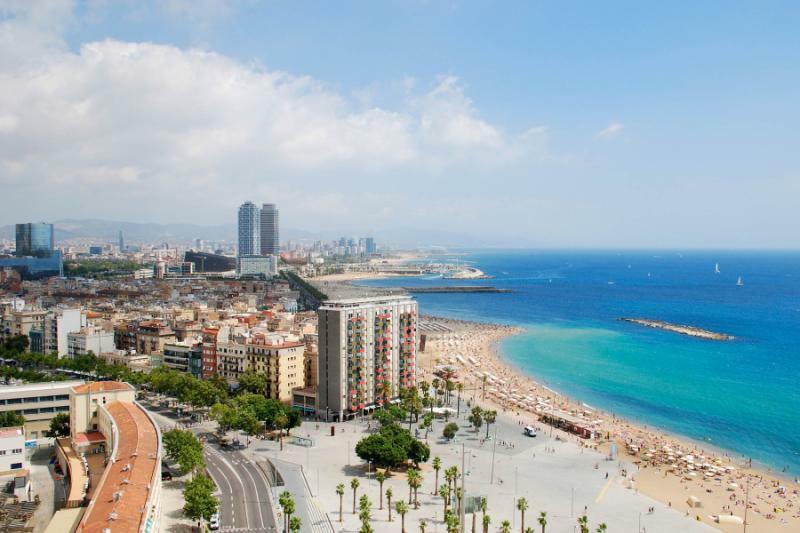 For more itinerary options, browse the additional vacation packages to Spain on Zicasso. 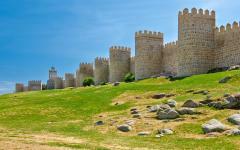 Spain has 45 World Heritage Sites, more than any other country bar China and Italy. But it is not the abundance that most baffles. It is the diversity. Remnants of the old Roman Empire juxtapose with palaces adorned with New World gold, a narrative of conquered to conqueror. Cathedral bells chime beside the minarets of Moorish mosques, alongside legacies of ancient synagogues. At nearby sites, you can witness a transition of style, how the conflicted consciousness of Baroque took over Renaissance. The propensity of World Heritage Sites makes this private tour possible. You will visit 11 in just a week, with relatively minimal travel time. Then, the sheer diversity of the sites makes for an immersion not only in Spain but the legacies of European style and design, spanning more than 2,000 years. 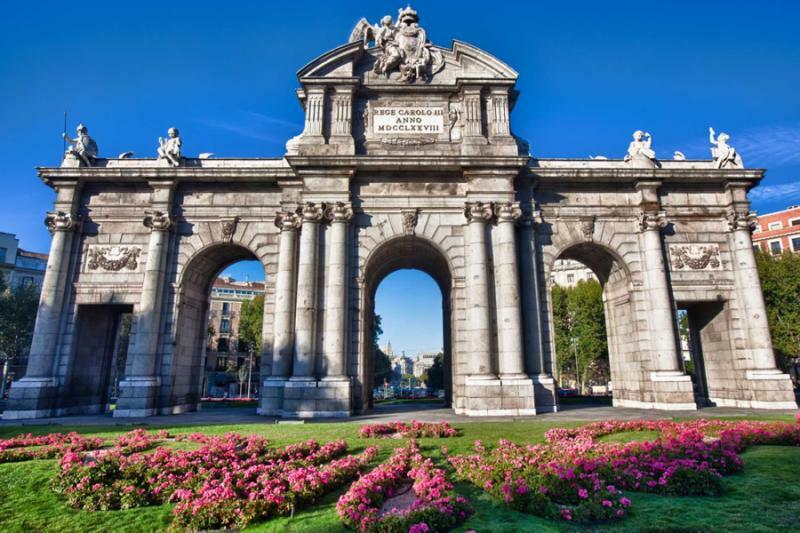 Start with two days in Madrid, before setting off to explore it’s good to slow your pace and absorb the serene rhythm of the country, spending your first day completely relaxing. A day trip the following day starts at the Royal Palace of Aranjuez. It is a classic Renaissance show of power and excess, before visiting the Imperial City of Toledo, a marker of old-world religious harmony and a classic story that has evolved over two millennia. 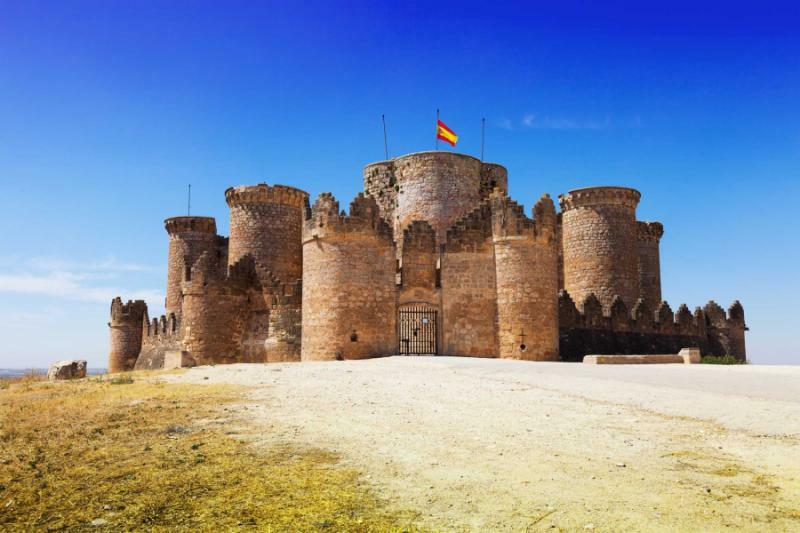 For the next three days, you crisscross Spain’s central plains, an area that is tightly packed with history’s untouched icons. Miguel de Cervantes is just one of the legendary figures from the 13th-century university city of Alcala de Henares, while the Hanging Houses of Cuenca are the dramatic starting point for your afternoon and third night in clifftop Cuenca. The next day, you will find a palace that turned into a monastery, religious and royal extravagance painted in the gold brought back by the conquistadors. Segovia is quiet and full of soft charms, a relaxed place to spend the rest of the day. Dining on the old Roman terraces is an essential part of the experience. Continuing through Castille and Leon, you find the Town of Stones and Saints, Avila, simultaneously medieval, Romanesque, Gothic and the Castilian soul of the 16th century. You will spend the night in Salamanca, like Toledo, a wonderful expression of religious harmony where almost every building feels like a new inscription on the World Heritage list. Salamanca to Barcelona takes just under five hours on Spain’s excellent high-speed railway, with a change in Madrid. Traveling this way takes you from city center to city center, and the first-class carriage provides a window onto rural Spanish landscapes. 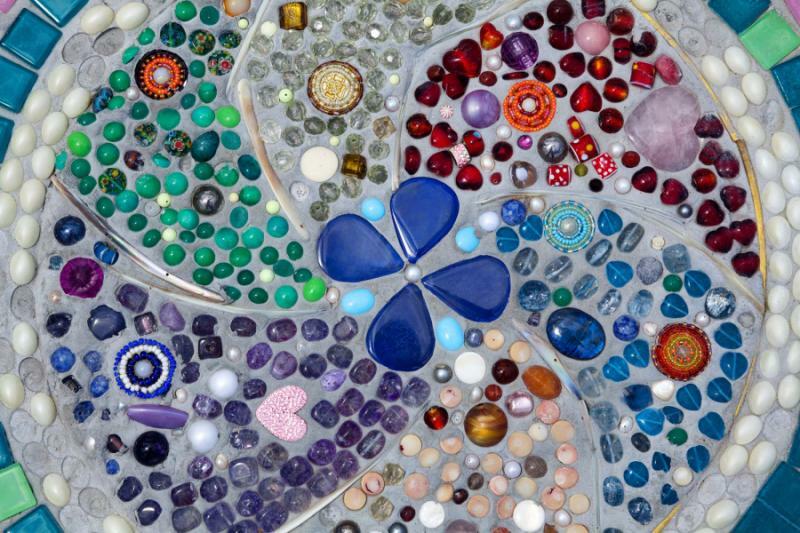 You arrive in Barcelona midday, with the whole afternoon dedicated to the works of Antonio Gaudi, from his early casas (houses), culminating in his unfinished La Sagrada Familia. 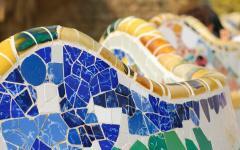 With Gaudi as a focus, the tour also provides an excellence glimpse into Barcelona’s neighborhoods and terraces. The final day presents two of the more unusual sites, the Roman leftovers in Tarraco and the solitude of Poblet Monastery, an excellent place to recount your private journey across Spain. See what else our top Spain travel specialists can do for you on your custom Spain vacation. Spain is not a country to rush. You can immediately feel this in the capital city. 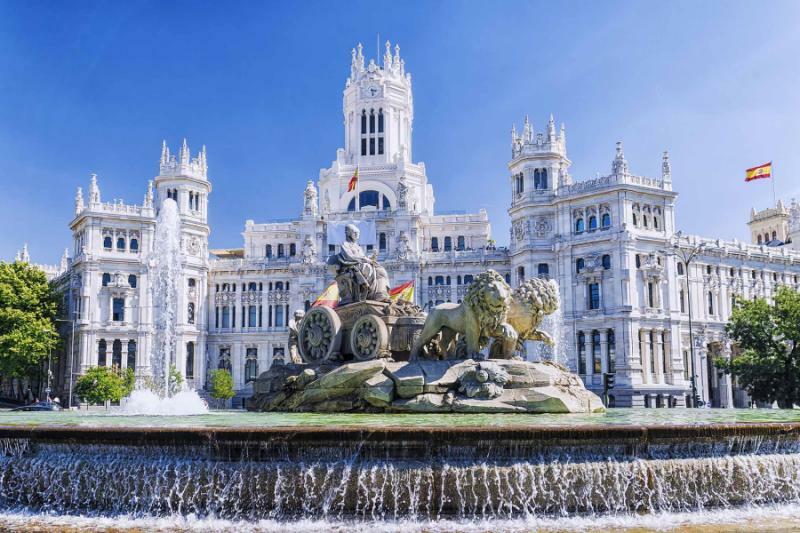 While it is the seat of the monarchy and parliament, Madrid retains the pace of an old era, when there was time to talk with strangers, and always another hour to spend relaxing at the cafes that dominate the plazas (city squares). Land in Madrid today, and the day is completely at your leisure. 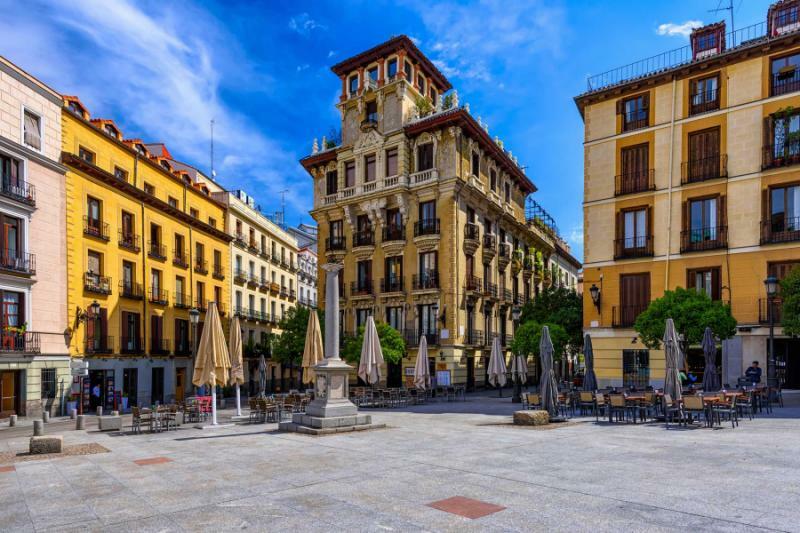 There is a lot to find within easy walking distance of your hotel, from the glamorous central plazas to the cobblestone lanes alive with the scent of hot chocolate and churros. And as you lounge in the cafes and rest on the plazas, you will soon come to appreciate another charm that is consistent across Spain: the cuisine. This is a country that has perfected the simple things. Any cafe you choose is likely to offer good coffee, a broad selection of excellent Spanish wines, and food that can appear simple yet is absolutely sublime, as a plate of Iberian ham and cheese will testify. The Palace of Aranjuez is a classic property that reflects a very middle-European history. The Renaissance facade is imposing, with stone parapets, enclosed broad balconies, and porticos stretching along the wings. Monumental oil canvases cover the walls, telling regal tales of French and Spanish life. Within the hallways, you find the distinctive tastes of those that ruled, like the porcelain Rococo décor commissioned by Charles III, the clocks collected by Charles IV, and the mythological Giordano paintings revered by Isabel II. This is very much the quintessential European royal palace, with these individual rooms and hallways revealing the sheer wealth of those that ruled. 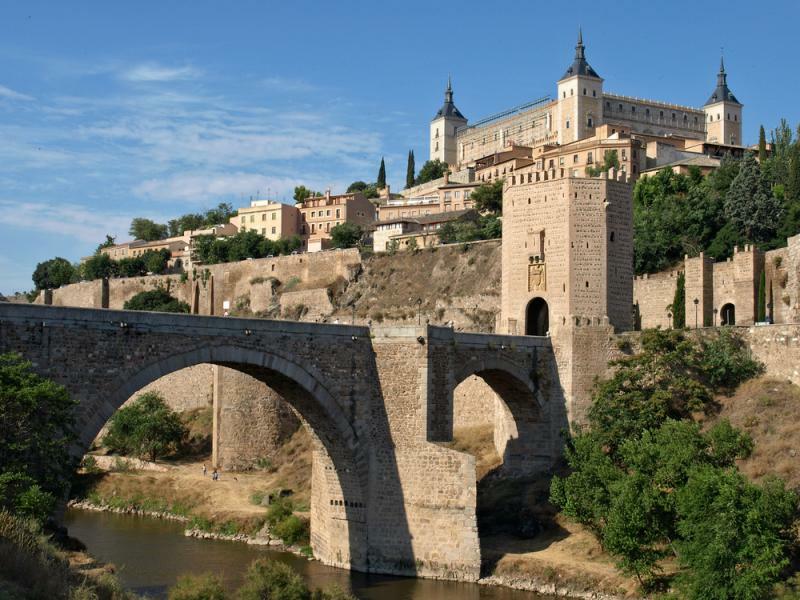 It is a classic place to start, followed by one of Europe’s most unusual cities, Toledo. Particularly in light of what is becoming modern-day religious intolerance, this imperial city is an example of extensive harmony held together for 1,300 years. Beneath a monastery lies the tomb of Saint Beatrice, who founded the Order of the Immaculate Conception. Wander a few minutes further, and you enter Europe’s oldest synagogue building, Santa Maria la Blanca. The minarets of 11th-century Tornerias Mosque rise alongside a skyline of Gothic churches and palace remnants of the Arab Mudejar style. Such a wealth of individual attractions requires a full afternoon with the real memory coming not from their contrasts, but their harmony. 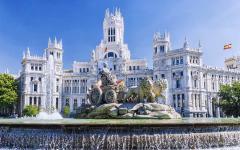 Return to Madrid in the evening for another relaxed evening on the plazas. Alcala de Henares is a city of redolent stories. 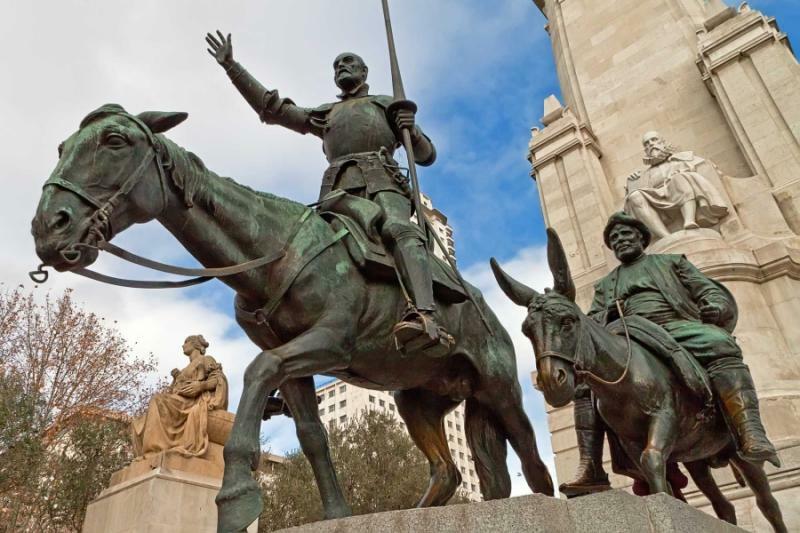 There are tales of Columbus meeting Ferdinand to finance his voyage to the new world, of author Miguel de Cervantes formulating his style on the cobblestone plazas, of the Moors building citadels, and a university with its roots in the 13th century. Certain UNESCO World Heritage Sites focus on a single building or structure. But Acala de Henares is a culmination of all its narratives, from statues of Don Quixote and Sancho Panza to the bodies of martyred Christian schoolboys left in an early 5th-century chapel. 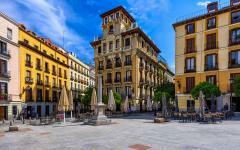 The city is a 45-minute drive from Madrid, and after a morning of exploring, you will stay for lunch in the heart of the old center. 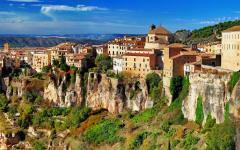 In contrast to Alcala de Henares, Cuenca is defined by its atmosphere. The Hanging Houses set the scene from afar, dramatically built on a vertiginous cliff, their very image indicating an idea of living on the edge and enjoying the moment. Locals chat on the steps of a 12th-century cathedral, footsteps echo across the remains of old Arab fortresses, coffee and red wine are enjoyed beneath the colored baroque of the town hall. Rather than individual sights, the experience is all about absorbing the ambience. The private guide will provide you with an orientation. The old city is relatively small and easily walkable. Following your tour, the rest of the afternoon and evening is at your leisure. 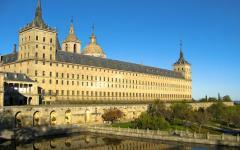 Remembering the Renaissance design of Aranjuez on day two, you step foot inside El Escorial. What contrast! Gold drips from the ceilings and covers the walls, almost blinding in its excess. Strange sculpted figures stand in the corners of the porticos, religious frescos bend across basilica ceilings, and the pantheon of marble and gold is almost as elaborate as the library of marble and gold. In the design, you see the struggle of the Baroque, how it discards simplicity for surplus, something so easy to achieve when the gold of the New World is pouring in relentlessly. 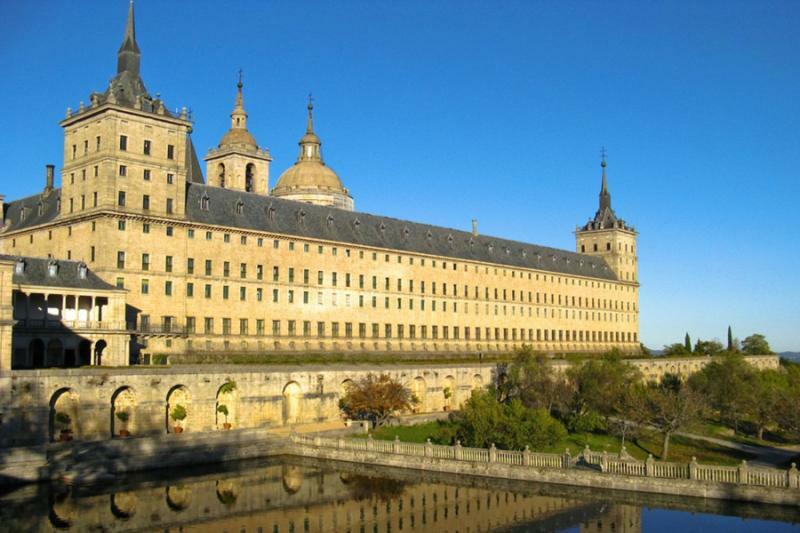 You can spend hours in El Escorial trying to fully understand the complexities and contrasts, particularly the concept at its core. This palace was simultaneously a display of the monarchy’s power, and a showcase of Catholic riches to stem the rising march of Protestant conversion. The king even tried to bring an 85-year-old Michelangelo over to Madrid for a decade of painting but, in frail health, he declined. Like yesterday, the day’s first stop has a huge amount to take in, while the second is all about relaxing into the atmosphere of an ancient city. Segovia is initially defined by its aqueduct, 25,000 granite blocks held together since the early second century without a single centimeter of mortar. Head inside the city walls, and there are more icons, like the Royal Alcazar and Gothic cathedral. Then, there are the monasteries and convents, chapels and churches. But Segovia is not for excessive sightseeing and checking off a list of monuments. Wander the streets, and you find a city that has an ambience untouched by time, everything moving with the ambling pace of an old Roman caravan. Like Cuenca, a city like Segovia helps keep the pace of this one-week tour slow and subtle. You move on to Avila, a town that everyone defines differently. To some, it is the Town of Stones and Saints, a nickname in light of the remarkable abundance of Gothic churches and the fabulous 12th-century cathedral. To others, it is the Castilian soul (el alma Castellana), more 16th-century than anywhere else in the country. 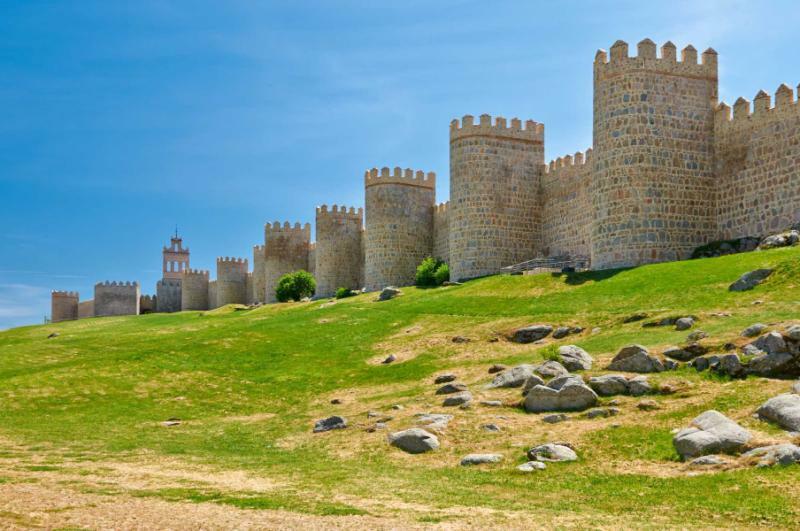 Others remember the Roman history, still more the majestic Walls of Avila, built over 400 years and dominated by imposingly thick semicircular turrets. Styles collide here, and that is part of the attraction, a World Heritage Site that can shed light on so many periods of history. 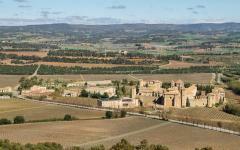 From here, you drive further west to Salamanca, arriving for a leisurely lunch on the main plaza. This is one of Europe’s great unknown gems, a city that is so impressive, most people like to keep it secret. One of the first Spanish cities to be recognized by UNESCO, this is a maze of Baroque plazas, Romanesque churches, flamboyant cathedrals, Renaissance convents, epic university buildings from the 15th century, and a whole succession of palatial palaces and casas (houses). One day is never enough to see it all, nor would one whole month be enough. 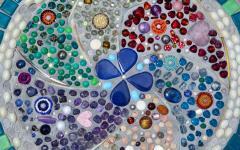 Your private guide will tailor the tour to what you are most interested in, with so much opportunity to explore art nouveau, spiritual history, the design of yesterday, and the vibrant atmosphere of today. In cities like this, there is rarely enough space on the camera’s memory card. Say farewell to your guide this morning, as you travel across Spain on the modern high-speed railway. 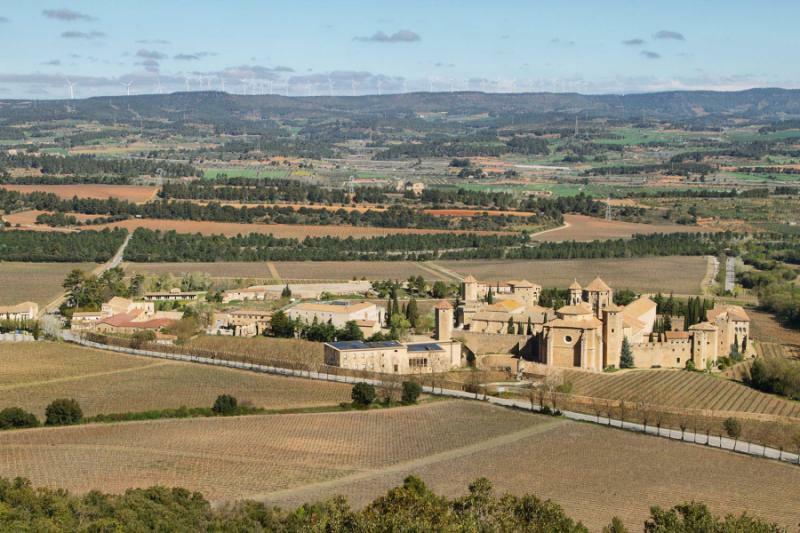 It is a one-and-a-half hour trip back to Madrid, passing crumbling villages that dot the plains of Castille, then another two-and-a-half-hour journey onward to Barcelona. The first-class carriages provide open views onto Spain’s rural landscapes. 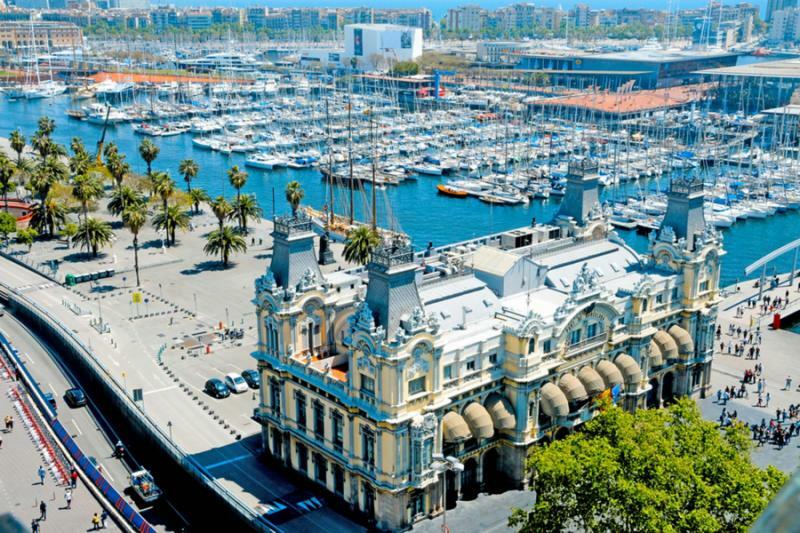 You arrive in Barcelona just before midday, the city center to city center journey taking just under five hours. Meet a new guide, and check into your central hotel, which is well located for dining and drinking amongst Barcelona’s oldest quarter. 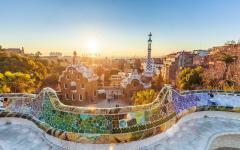 The works of Antonio Gaudi and his Modernist friends are the city’s World Heritage Site. Exploring them also enables a journey through the various neighborhoods of this famous city. Start with the early design, the casas commissioned by luminaries, where Gaudi demonstrated his flair for the unusual. In particular, Casa Mila looks modern, even if it is close to 150 years old. Palau de la Musica Catalana is an understated gem, and an opportunity to compare the style of Gaudi with that of Montaner. Moving on to La Sagrada Familia, you find the enormous expression of an architect and an architectural movement, still under construction after 130 years. Visiting late in the day will help you miss many of the crowds, and leads naturally into a relaxed evening in the city. 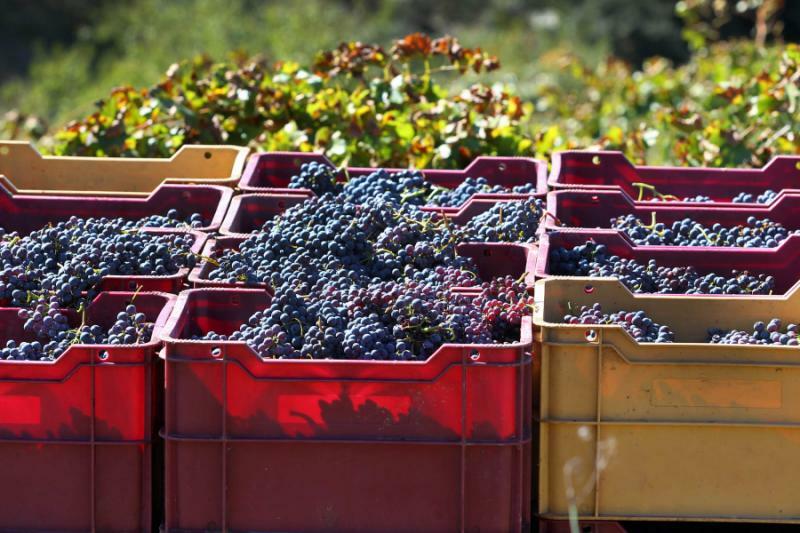 Travel south, stopping briefly in the Penedes Wine Region, legendary home of sparkling Cava. A glass at a historic vineyard is followed by a journey into the Roman Empire, a dramatic amphitheater just one of the remains found in Tarraco. 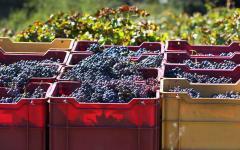 Nearby is Poblet Monastery, a place of simplicity and solitude, perfect for recounting the week that has gone before. There is an excellent restaurant close by for your lunch, and you will taste the difference between Catalonia and the others regions you have visited. Driving through rural Catalonia is always a pleasure, the quiet roads winding along the coast then inland across valleys backdropped by majestic mountains. 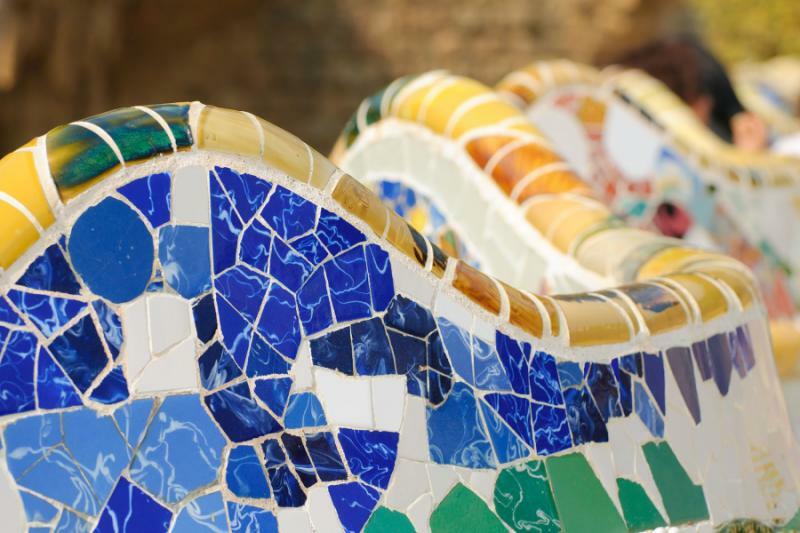 Returning to Barcelona, you are dropped at a final World Heritage icon, a place of both serenity and heritage: Park Guell. 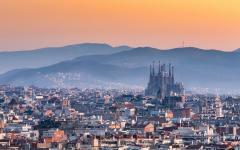 Gaudi’s design is showcased here on a hill overlooking the cityscape. The rest of the afternoon and evening are at your leisure, with the guide able to make dinner recommendations and reservations. 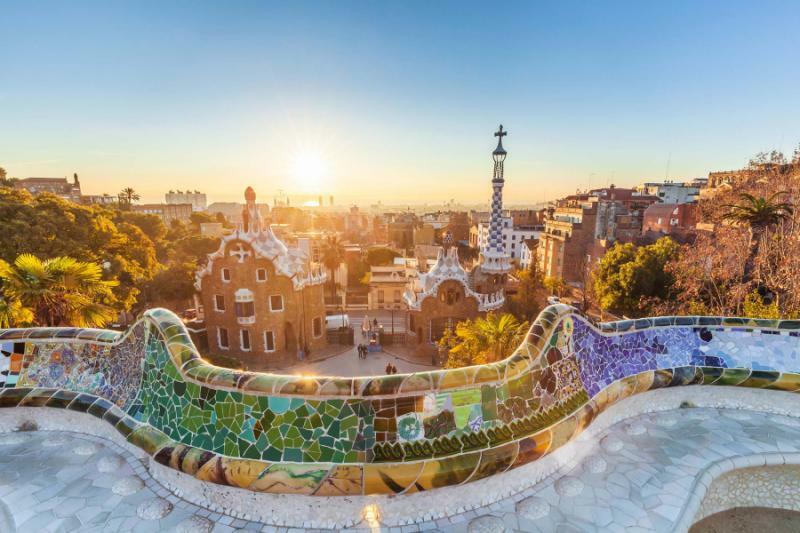 Depart Spain from Barcelona, a single week of travel taking in not only the Spanish heritage but some of the great exemplars of our planet’s heritage. 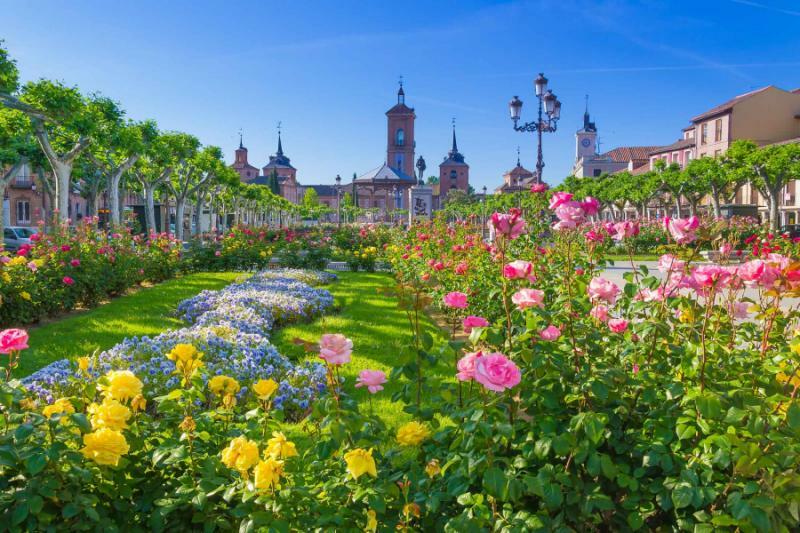 Luxury Spain Tour, Malaga, Sevilla, Granada, Cordoba, Guided Tour of Alhambra,..
"The company was very responsible and answered all my questions." 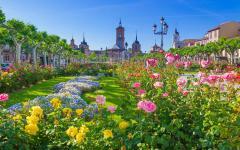 "The trip was wonderful...I would certainly recommend this Spain travel agency."